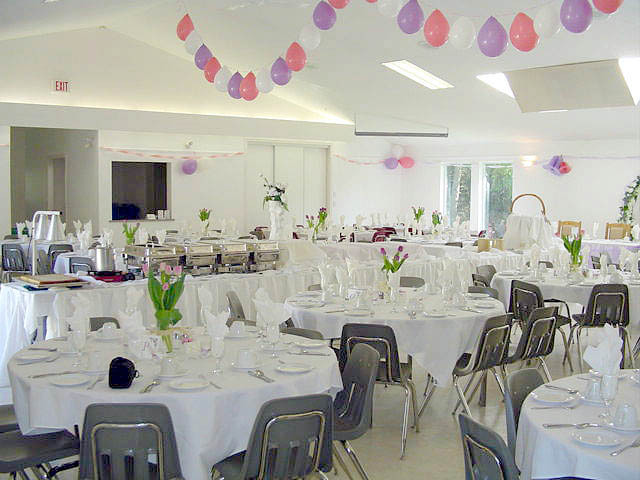 We have a custom-built, fully equipped banquet hall facility for community use. Housed in our beautiful, park-like setting, this Hall is ideal for meetings, conferences and receptions. We invite you to call our Church office and arrange for a tour to see the space and discuss your needs. There will be a contract for you to review and sign. Contact us at 604 591 8323. I have forwarded your message to the church office. Hopefully you will hear back from them soon. Hi my name is mamanyan and am looking for a venue to do my birthday party on may 7th, Please get back to me as soon. Thanks looking forward to hear from you. Please phone the church office, 604-591-8323, and Kelly, the office secretary, will be able to help you with this. The office hours are Tuesday to Thursday 9-12. Hello, This is Ever. We would like to know and ask how much is the rent for the hall because we are planning to hold a wedding ceremony and reception into your beautiful and grassy garden if you allow..it will be on April 1st,2017. Thank you so much. Just wondering how much rate for rent the Hall? The Rental fee for our hall is $600.00 payable at least a week prior to the event and a $200.00 damage deposit which is refundable only after our site inspection post rental event. 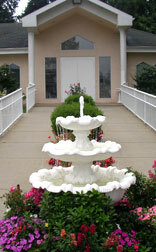 Out of the $600.00 rental fee comes a non-refundable deposit of at least $100.00 to reserve the event date. If you have any more questions feel free to call the church office at 604-591-8323. If you would like to come by for a tour I am in the office Mondays from 1:30-3 and Thursdays from 12:30-3.